Grew up in a military family—her father was a test pilot, so she grew up loving airplanes. In high school, she wanted to gain some volunteer experience, so she joined the Cadet Program of the Civil Air Patrol. While in the Civil Air Patrol, she heard about the Air Force Academy and immediately knew that was the college she wanted to go to. Due to the strict admissions process, it took her whole junior year to apply to the Academy and then an additional 18 months of interviews before she got in. Attended the Air Force Academy and was selected to go to flight school to become a pilot. Upon graduating and joining the Air Force, she initially wanted to fly the special operations helicopters behind enemy lines—this wasn’t open to women, so she started flying the C-130 cargo planes. 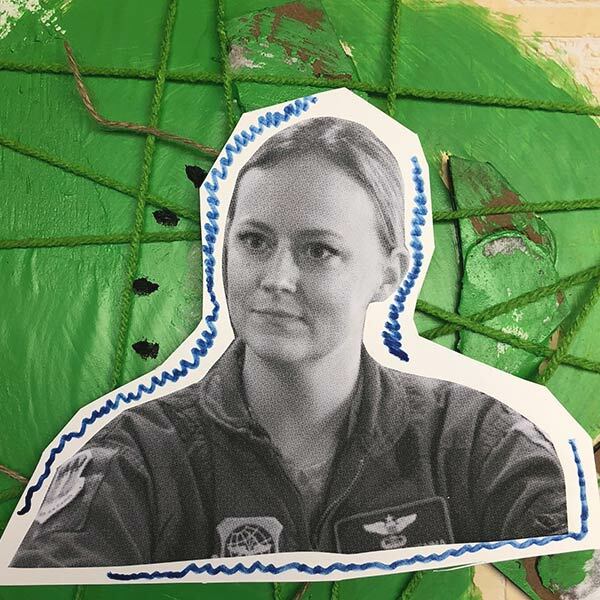 Her missions typically include transporting people and cargo in and out of hard to access areas and providing the support they need on the ground. Says her favorite part of being in the military is the fact that it is a meritocracy, you are judged based on how well you do your job and nothing else. I am an Air Force pilot and weapons officer. My squadron currently gets deployed on missions all over the world, so I don't really have a typical day. We could do air drops, air medical evacuations, hurricane relief, human remains missions for fallen soldiers, cargo transport, humanitarian relief, and much more. Each mission comes with its own requirements and challenges. You have to have grit. No matter what branch of the military you join, you are going to experience hard times and you have to be able to stick it out. Don't be afraid to lean on the people around you for support. Take criticism to heart and use that to learn from your mistakes and better yourself. If you have ambitions of going to a military college, start preparing early because it takes a long time to go through the admissions process. Join ROTC or do some volunteering with a military-based organization. This will get you valuable experience and also inform you as to whether the military is a career path you would be interested in pursuing. The military is a stressful job, no matter what branch you are in, no matter what job you do. I had to learn to focus on my tasks at hand and lean on the people around me for support if needed. Vent all of those frustrations out so that you can go back to work. Both my husband and I are in the military and we have a young baby. We can sometimes spend long stretches of time away from one another which is really difficult.